But still their Country’s clime. So vast the Nation, yet so strong the tie. The Republic’s earnest faith and courage high. Josiah was the son of Frye Lovejoy (1776-18xx) and Lucinda Poole (1780-1859). He was married to Harriet Atwood Wilkins (1820-1900). I thought as some of our boys were coming home, I would not write but little for they can tell you more news in five minutes than I can write in a week. We expect to be paid tomorrow and if so, I shall send you some money by some one of them. I am well as can be expected. I have been here just two weeks today and I have not drunk one drop of water yet. All the water that is used or drank in the city comes out of the river. Comes in iron pipes. The citizens do not drink it no more than they would arsenic. Our boys that drink it makes them sick. I drink sometimes the Raspberry Cider which costs a pigeon [?] per glass but it is death to a man that drinks ____ here, that is so. I mean Northern men. I hope it will be so that I can come home before long. If I could hear from you once in a while, I should feel better. It has been a good while since I have heard from you. My thoughts are at home all the time. I have a very easy time. They give me a Darky to wait on me, get wood and water and clean my dishes. And we have good quarters now. I can tell you the mosquitoes is awful here. We are poisoned with them. It makes us sore and looks as if we had the small pox. June 18. As Mr. [Amos F.] Noyes ¹ is going home, he says he will go and see you and tell you the whole story. We was paid yesterday. $52 dollars each and I have sent $30 to you. Mr. Noyes will you how 15 is to come and I shall send you a little more by him. I want to keep money enough in case I am sick for the sick is cared for about as much as our hogs are and no more. A. Davis is dead. ² Died the 12th and I think we all will be dead soon if we do not got North soon. I send you a present by Noyes or [Henry] Tucker. ³ It is a Pont money with some in it. – J. P. Lovejoy. Goodbye Love. ¹ Amos F. Noyes, 1st Lt., Co G, 14th Maine; Capt., Co H, 14th Maine; Capt., Co B, 32nd Maine. 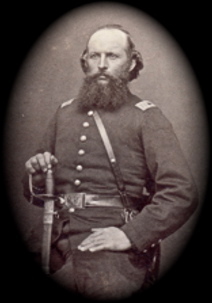 During the summer of 1864 he commanded the 32nd Regt. ³ Henry Tucker was mustered as Corporal of Company G, Fourteenth Maine, December 12, 1861, and was discharged for disability June 30, 1862. 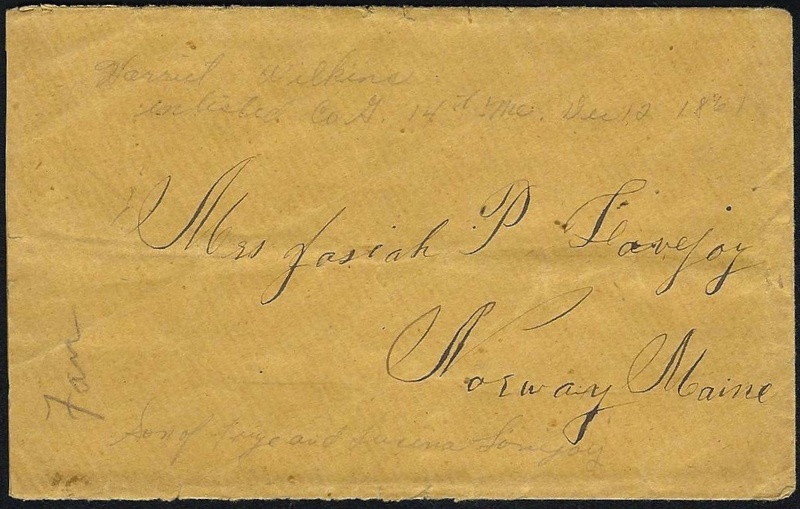 1865: Stacy C. Jones to Friend C. J. A. 1837: Rev. Elijah Willard to Elijah Willard, Jr.